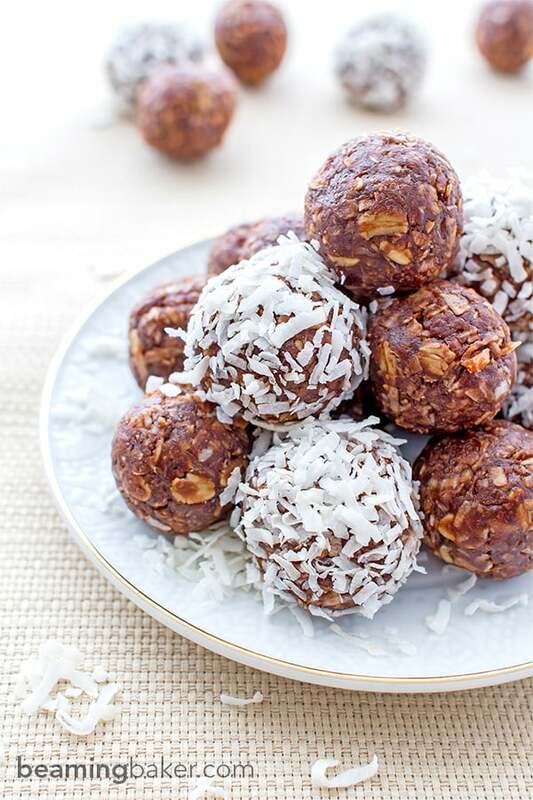 No Bake Chocolate Coconut Bites: A one bowl recipe for soft, chewy and indulgent no bake chocolate coconut bites. Vegan, gluten-free and delicious. Lately, Erik and I have been focusing on getting healthier. And by lately, I mean the last five years or so. Now before you gasp and lift your eyebrows in shock at the length of time it’s taken to “get healthy,” let me explain. Or, continue gasping. It’s a free country after all. Judgment and every-thang. Getting healthy is this insanely eye-opening process which humbles both of us constantly. 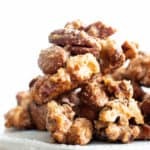 Once you think you’ve gotten the hang of things: making raw snacks, removing refined sugars from… like everything, or learning how to massage (!) kale, something goes BAM! and slaps you in the face with all of its new, informative, blah-dy-blahness and makes you realize you know, like, nothing. I know that growing up (or whatever) is all about learning to adapt, and all of that mature stuff. But come on! Right? Some of us are gonna need a few carrots to go with those super-hard, super-dry sticks. 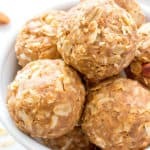 Enter, Carrot: my No Bake Chocolate Coconut Bites. Naturally, these carrots that I demand must taste nothing like carrots, and everything like chocolate. If I can have chocolate, I can deal with all of them new-fangled health rules. M-kay? Now as shifty and change-y as the health codes have been, one thing remains steadfast and awesome: no bake, vegan sweets. Guuuuuurl, I love me some no bake vegan sweets. When the world is just spinning around so fast, and everything’s so blurry and noisy, and I’m just busy/chaotic/crazy with life, I make my no bake chocolate coconut bites (or these peanut butter coconut bites, if I’m feeling sassy). They’re quick, simple and delicious. Oh, and they stick by them new-fangled health rules too. And just in case you’re looking for a special, super chocolatey (i.e. 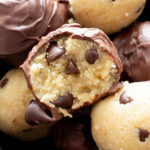 ah-mazing) treat, you’ve got to try Allergylicious’ Chocolate Seed Bites. They’re gluten-free, vegan, and top-8 free! ???? So you see, being healthy isn’t always hard… it can actually be soft and sweet. (I’m sorry. I could not help myself). And, at the end of the day, it’s so worth it, dontcha think? Let’s do this healthy thang together, and let’s have some fun, shall we? 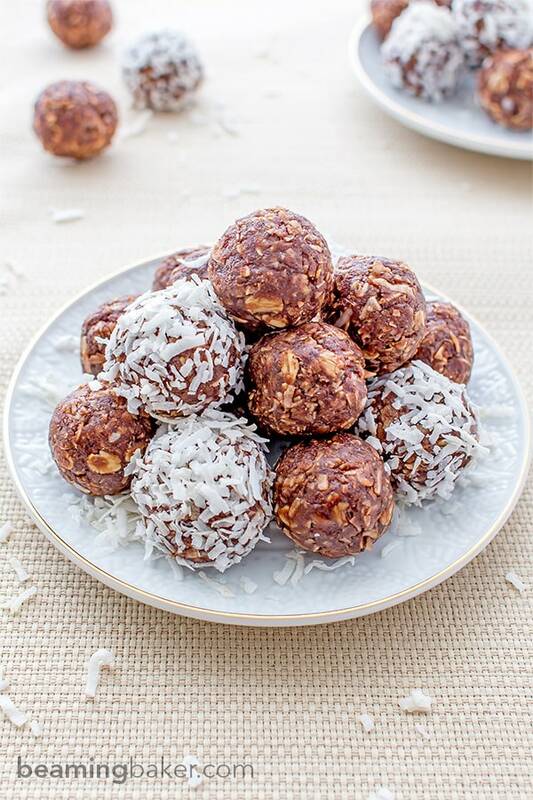 No Bake Chocolate Coconut Bites: A quick recipe for soft, chewy and indulgent no bake chocolate coconut bites. Vegan, gluten-free and delicious. In a large bowl, whisk together the nut butter, maple syrup, cocoa powder and water. Whisk until smooth. Add in coconut, oats, almond meal and flax. Stir until you get a cohesive, dough-like mixture. Towards the end, I use a rubber spatula to fold the dough. Scoop mixture into your hands and roll into bites. Optionally, roll in coconut flakes. - Store in an airtight container for up to 2 weeks. If you like them firm, you can store them in the fridge. - These also keep well in the freezer for up to a month. © beamingbaker.com. All content and images are protected by copyright. Please do not use my images without my permission. If you wish to republish this recipe, please re-write the entire recipe using your own words and include a link to this post for the recipe. Guess what? 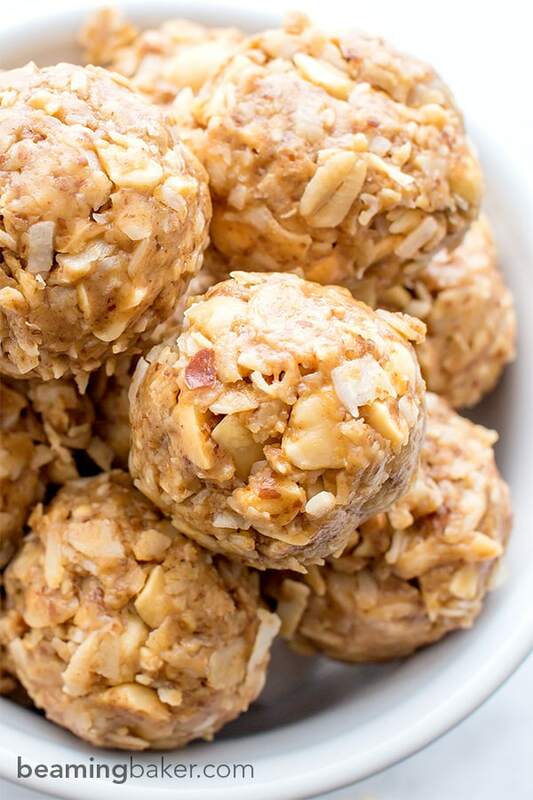 Your love for no bake goodness is obliged by my No Bake Peanut Butter Coconut Bites. Muah! What new-fangled health news have you learned about recently? What’s your favorite healthy pick-me-up snack? I always listen to the Dave Ramsey show for his financial insights and he’s always saying “nothing tastes as good as skinny” but it does have some truth to it. When I can’t button my jeans…..wellllll…my self-esteem takes a hit! I LOVE chocolate and coconut but never found a way to make it healthy before. And I have about 10 bags of coconut on hand because I went through a coconut buying spree. Yay. I’m trying this. Plus, we’re heading to Florida for a few weeks and I need some protein packed snacky snacks on hand!!! Yippee Skippeee. Haha. What a saying… Jeans can be mean and judge-y sometimes, can’t they? lol. Wohoooooo for the coconut buying spree!! I’m gonna have to admit that I go on one of those once a month. *blushing* If I can work chocolate and coconut into a recipe, I’m gonna do it, Laura! It’s awesome that you’re gonna try this recipe. Woot woot! I really hope you and the family enjoy it. What are you heading to Florida for? 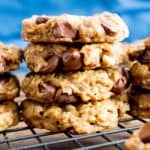 Love your recipe but have a minor question as I am a low “carbist” why is the calorie and carbohydrate count for your recipes not part of the recipe? Thanks for in advance for your indulgence. And I had to create a new board on Pinterest to Pin this! I really am making them. Healthy snacks? Does that sound right? Now it’s my turn to say, YIPPPPPEEEE!!! 🙂 🙂 Healthy snacks sounds perfect. Can’t wait to hear what you think of them. ? You seriously make this sound so appetizing. And look so good. Do you deliver…? Just kidding. I like the sound of this but I don’t think they’ll look as good when they are squished in a box from travelling all the way to the Netherlands. My favourite healthier snacks are probably crackers with hummus, I love homemade hummus… Or I don’t know. 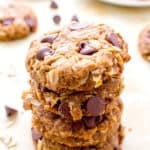 Oatmeal cookies with nuts! That’s a favourite too. Aw, thanks Viv. 🙂 Delivery sure would be interesting… Haha. I actually get perfectionism-anxieties whenever I ship my baked goods to my family. lol. Oh! 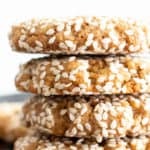 crackers with hummus and nutty oatmeal cookies sound delightful! Thank you Viv! Hugs & xoxo. Thanks Kate! 🙂 That’s awesome. I love hearing about all the different ways people get healthy. Thanks for stopping by, Kate! My husband and I always vow to eat healthier too. While we don’t necessarily eat bad, we could definitely use a few adjustments! These bites look delicious, Demeter! 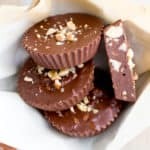 I love finding new energy bites like this, especially ones that involve chocolate. I would gladly devour this all and then some! Pinned! I feel ya, Gayle! Well, at least we’re all in this together. 🙂 Thanks so much for your comments and for pinning! These look absolutely gorgeous…So photogenic! I can eat them all in one sitting …Seriously !! I love bite-sized treats! These chocolate coconut ones look so scrumptious! 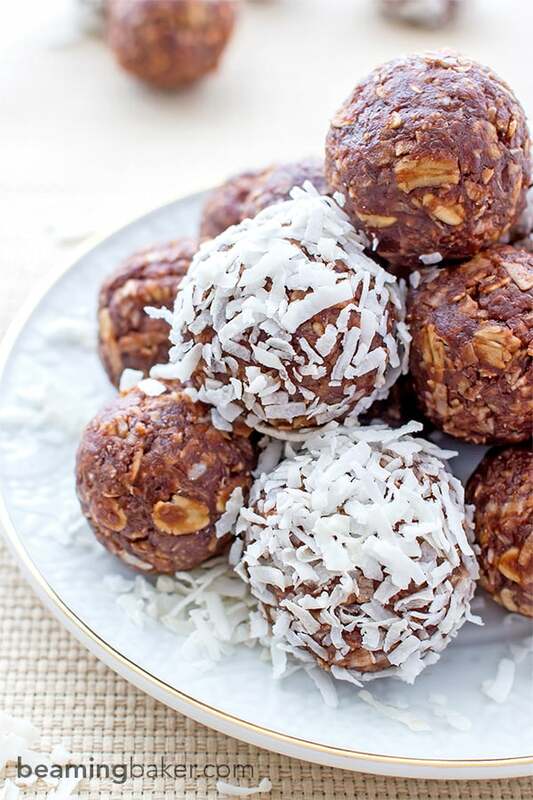 No to carrots, yes to these chocolately coconutly bites!!! I’ve been on a healthy eating plan for 10+ years now, but every weekend I blow it all to bits by eating fried seafood, visiting bakeries and buying enough sweets to feed 20 people, and eating whole bags of potato chips in one sitting. My favorite healthy pick-me-up snack is a big bowl of organic plain yogurt from my local, grass-fed diary and I put lots of raw nuts, raw hemp seeds, soaked chia seeds, and berries in it. Yummy!! 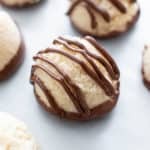 Love anything chocolate and these vegan and GF chocolate bites are awesome. They look so decadent and tasty. I love the idea of coconut in them. And having bite sized treats for Easter sounds like a great idea. hi demeter! i made these last night! yum! 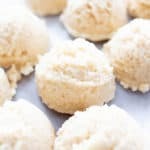 i loved your no bake peanut butter coconut bites and couldn’t wait to try to make these too. i had all the ingredients at home, so i made a batch. they’re awesome! (i may have eaten too many haha.) thank you for this recipe! 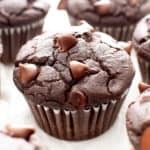 i’m taking a few of these bites to work today! I’m in for healthy eating! Even though I still make some not so healthy desserts, I’m happy to experiment with more clean recipes! These look great! Pinned! It is so hard to keep up with the healthy eating info! Always changing. I think that you are right, and something always stay in fashion. LIke chocolate, for example. Antioxidants? But keeping healthy snacks around is a must for me or I will just randomly start eating whatever food I can find. Love these! Energy balls are indeed a great healthy snack, in fact I won’t travel without them. Amazing job here, thanks for sharing! Oh, yes! They are awesome travel snacks. 🙂 Thanks so much Silvia! Thank you. This is a great recipe! The first time I made them, they seemed to have a bit too much coconut and be a little sweeter than I wanted. The next time, I replaced the water with coffee–brings out more chocolate flavor. And I cut back the coconut to 1 cup. I ended up giving some away with other baking over the holidays. People loved them. You’re so welcome, Judy! 🙂 I love your idea of adding coffee–it’s the perfect complement to chocolate. 🙂 So happy to hear that you and your friends loved them. Thank you. This is a great recipe! The first time I made them, they seemed to have a bit too much coconut and be a little sweeter than I wanted. The next time, I replaced the water with coffee–brings out more chocolate flavor. And I cut back the coconut to 1 cup. I ended up giving some away with other baking over the holidays. People loved them. I also replaced the smooth peanut butter with crunchy.